This handmade apple-shaped children’s bank is a music box. 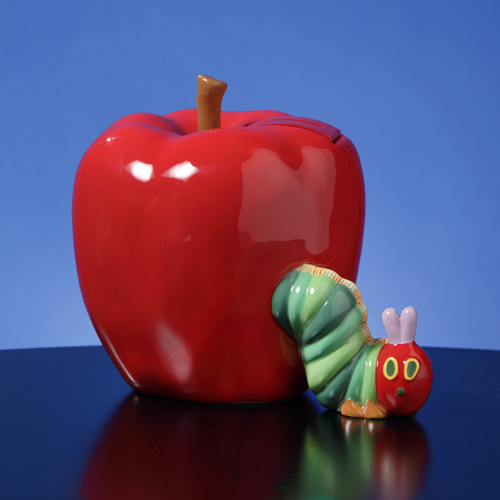 The famous hungry caterpillar is seen coming out of the apple. 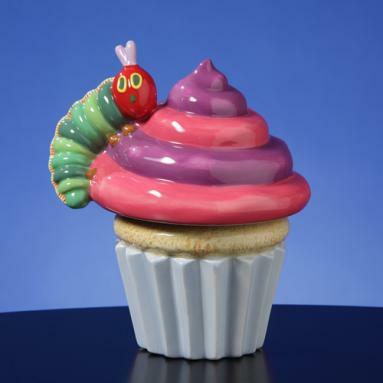 The apple is perfectly shaped and hand painted to perfect waxy appearance. This is a coin-operated music box. When the coin is put in the bank, the music plays.